Cereal is a good source of carbohydrates, which we need for energy, and most of us love cereal, but some cereals are nothing more than “junk carbs” – lots of sugar, but not much nutritional value. “Junk Carbs” are a leading cause of obesity. 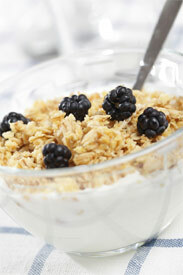 To be able to choose a healthy cereal, look carefully at the nutrition label on the box before you buy it.